The general scheme is managed by a network of local, regional and national institutions organized by risk and administered by representatives of employers and employees under the supervision of the different ministries in charge of social security (the Ministry for Solidarity and Health and the Ministry of Economy and Finance). Approximately 80% of the general scheme’s total revenue comes from contributions and taxes deducted from earnings. The contributions and collections branch, managed by the Agence Centrale desOrganismes de Sécurité Sociale (French Social Security Centra Agency / ACOSS), which brings together the Unions de Recouvrement de Cotisations de Sécurité Sociale et d’Allocations Familiales (Social Security and Family Benefits Contributions Collections Unions / URSSAF) which are in charge of collecting all employers’ contributions. Assurance maladie is founded on the principle of national solidarity, according to which subscribers in good health help to fund the care of those who are ill. Being a member of Assurance maladie if obligatory for all people working or living in France on a regular ongoing basis. You need this to receive medical care. To become a member, you must go to the office of the caisse primaire d’assurance maladie (your local health insurance office) of the department where you live (whether you are an employee or you have never worked in France). Minors are usually insured with their parents. You will be assigned a health insurance scheme in accordance with your situation. Universal health protection (PUMA – protection universelle maladie) guarantees a right to care and coverage of personal medical costs to anyone who works or lives in France on a regular ongoing basis, throughout their entire life. You will then receive a registration number. This number is a prior requirement for obtaining your carte vitale. This smart card contains the administrative information required to provide you with medical care. The carte Vitale is a card with an embedded microchip that certifies entitlement to health insurance. It is issued to all persons aged 16 and over contains all the administrative information the patient’s health insurance fund needs in order to reimburse their healthcare expenses. Depending on personal circumstances, it also contains the information needed to use the third- party payment system (meaning that the patient does not pay amounts upfront that will later be reimbursed either by the health insurance system or by his/her supplementary insurance, which kicks in once the patient has been reimbursed by the national system. – when you are hospitalised, etc. Any medical certificate issued by a doctor, hospital or pharmacy is subject to a fee. 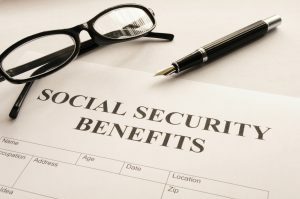 Medical costs may be covered partially by Social Security or a supplementary health insurance plan. You need to check with the practitioner regarding fees and reimbursement rates. You must inform your local health insurance office of the name of the doctor you have chosen in order to receive medical care (treating doctor) and receive the full amount of reimbursement. You can subscribe to supplementary private health insurance that covers all or part of the costs (medicine, drugs, hospitalisation, care) that Assurance maladie does not reimburse. This procedure is not obligatory but it is recommended. To subscribe to supplementary health insurance, you must already be a member of Assurance maladie. This additional insurance is payable by you.